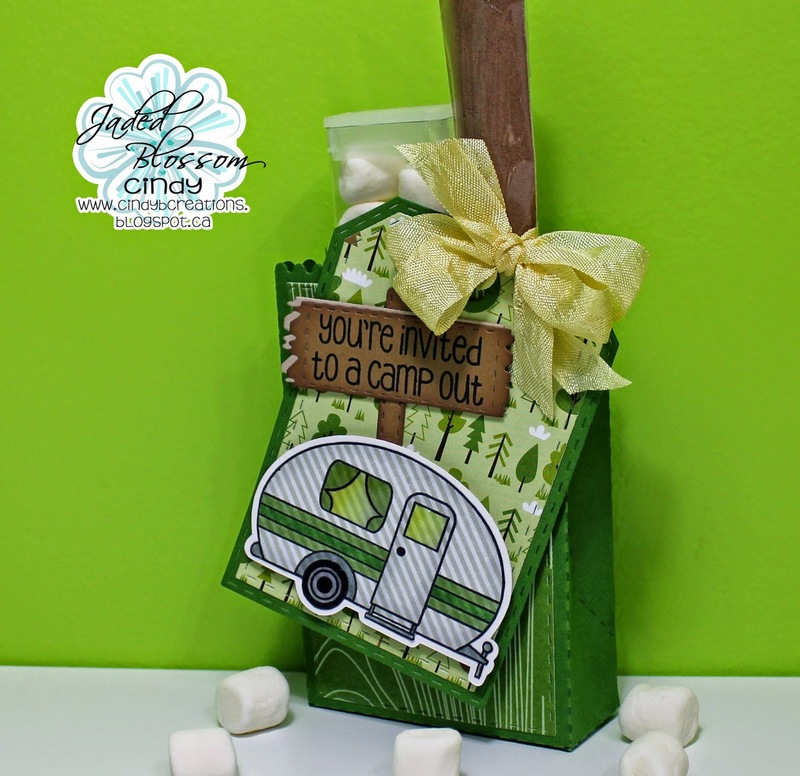 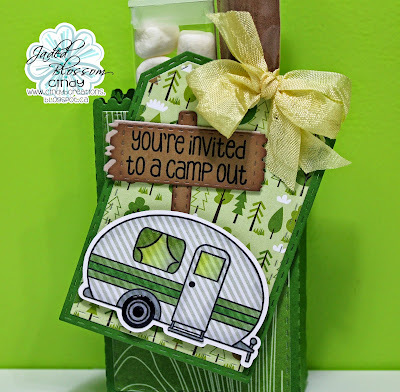 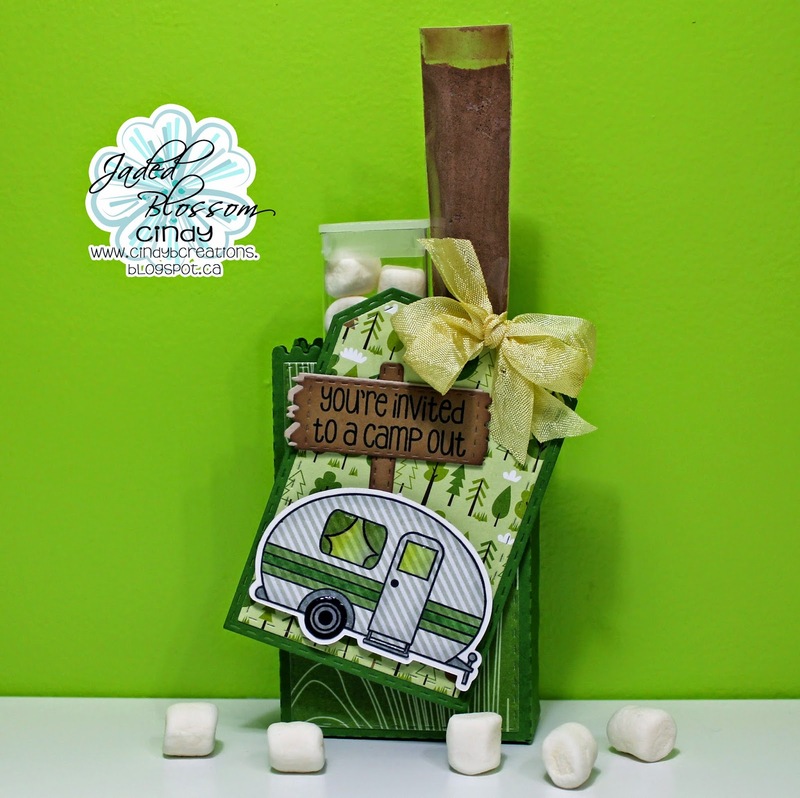 Jaded Blossom: You're invites to a camp out!!! 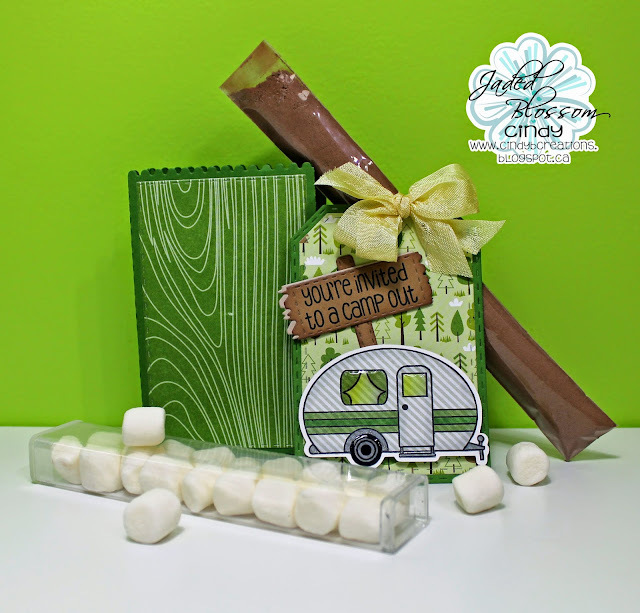 Fall Dies for the sign, the Goody Bag Die for my bag, the 1x 5.5 inch Clear RECTANGLE Tubes for my mini marshmallows and the 1x8 Clear Bags for my hot chocolate. This is so fun Cindy! Fun project and so cute!